Q. How would you term the design strength of the commercial vehicle business of Tata Motors? A. 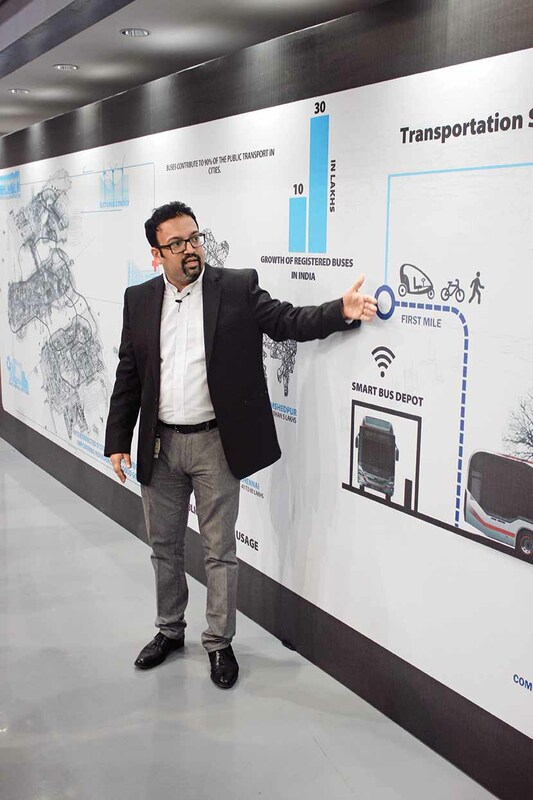 The design aspect at Tata Motors took shape with commercial vehicles. The commercial vehicle design heritage side of Tata Motors is very strong therefore. A need to refresh the design aspect was however felt, and we began with the Signa, followed by the Ultra and the Intra. The Intra brings a refreshing design change that is unique. It is a feature loaded product. Taking into account the changing demands of the CV market, and also the expectations, we made some interventions. The Intra is part of the interventions, and speaks a premium design language. The vehicle looks tough and well-finished. It commands a presence. It has chrome elements like those that are found on a car. The chrome elements do not however interefere with the strong and robust image of the product. The mandate of strength and robust build as a commercial vehicle are retained. In-line with the requirement of a CV owner that his vehicle should not stand still as he can earn only until it is running, stress was laid on engineering and design detailing to be robust. We have for the first time introduced a new design element in the form of air-conditioning vents surround. They are the same colour as the exterior of the Intra. We employed this design element not because it is commonly used in cars, but because we wanted to adopt a similar design approach for CVs. Q. What design elements from cars are getting to CVs? A. We are getting those influences that are going into passenger cars to CVs. In the Intra for example, the fabrics are of a different level altogether in terms of usability and utility. Based on the feedback of a lot of small commercial vehicle drivers, comfort levels of the seats have been enhanced. From the form and function perspective, we have offered lockable glove boxes for safety of documents. We have also offered a dedicated space for water bottle, and for a mobile phone charging point. Such features are now being demanded. Since a commercial vehicle is operated for business rather than to get from one place to another, there are small but very important things that matter. Rather than getting it done outside, we thought of developing them in-house. Q. Wouldn’t the inclusion of car-like design elements and the resulting features add to the cost of a CV? body coloured interiors, etc., that would address the aspirations of the buyer. Variants allow a play at different price points that is not common to commercial vehicles. Variants, in CVs, has always been about engine and powertrain. It has not been design feature-based. Q, How is the regulatory pressure influencing design approach of Tata Motors for CVs? A. Regulations like BSVI will entail a development on the powertrain side. Some requirements will also come from the design side. The air intake requirements for example. Many things will also happen on passenger safety legislation like the front impact crash zone. All of that is coming, and I am happy that it is coming. Not because it provides an opportunity to design, but because it will make the transport ecosystem safer. We will respond to the need. Not just that, in some areas we will also try to stay ahead of the curve. Areas like pedestrian safety and offset frontal impact. Such elements will require design intervention. It is welcome from an industry point of view. India has the highest cases of deaths happening on the road in the world, and that statistics is not worth being proud of. 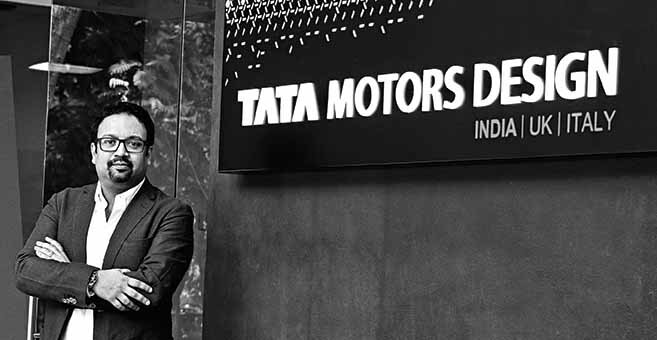 We at Tata Motors have got the responsibility to lay a role. In CVs, the customers are the fleet owners and the people who actually drive it. We have to look at the interest of these two stakeholders. Driver comfort is important. An efficient driver cabin may result in some cost escalation, the fact is, the output of the driver will be high and there will be less risk of accidents. A lot of accidents in concerning CVs are caused by driver fatigue. Comfortable driving seats reduce fatigue. Better cabin ergonomics helps address other issues like NVH. NVH depends on the mounting of cab on chassis, and on the construction quality of the cab. The other important bit is air-conditioning. It will play an important role because of driver comfort and safety. It comes under creature comfort, and is about the driving environment. Consider the fact that drivers work in a 45 to 50 degree Celsius environment. They deliver goods for up to ten hours a day. It is not humane. Since the driver profession lacks respect, there is shortage. It is their needs that the design of CV should address. In the future, it will be the drivers who will determine how CVs are designed. Q. What role does design play in light weighting? A. It is a complex role. It is about gaining in one area and losing in another. Developments in sheet metal technology, plastics (composites) are helping to light weight. The use of high strength steel is helping reduce weight. It is about making intelligent choices. Like the move to plastic bumpers from steel bumpers. Later on, the bumper was split to reduce the replacement costs. All these have a definite role in the design involved. We keep on trying and come up with different choices. The market also has certain perceptions, and as a leader, certain responsibility to offer something new is there. At Auto Expo 2018, we launched a new three- and five-litre engine that can be scaled up to EuroVI. While we have a strong engineering team that has the knowledge of what really is going out there in terms of loading, rating, etc., we always design keeping in mind the extreme usage. The design process takes into consideration how CVs ply across diversified geographies and how big is the temperature variation. Working closely with our engineering team on specifications, the operating conditions, and the work envelope, we help them define these key elements. We don’t directly design a suspension or design some of those mechanical aggregates, what we do is to plan their modularisation. It is done such that there are modules that can spread across various vehicle segments. Not only does this reduce costs, it also helps address vehicle complexity. It also reduces the need to stock as many parts. It increases the overall efficiency of the system, benefiting every stakeholder. Q. 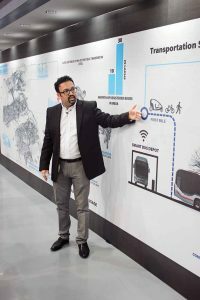 What are design challenges involved in the development of electric buses? A. For electric vehicles, irrespective of them being a car or a CV, there is no need to use horse and carriage architecture. For the last 100 years, it has been about putting engine in the front and have the body at the back. EVs break away from that. Batteries could be put anywhere – under the floor or at the top. There is lot of design freedom that we could exercise, and accordingly utilise space to arrive at a design that is efficient and smart. We have the freedom to design a flat floor; have reduced NVH. There are many benefits that could be derived in terms of design freedom. An EV simply gives us some nice architectural advantages. Like a bus having the engine sitting on the top, or having no engine at all for example. Where the routes are well defined, electromobility will make a lot of sense.